Do YOU Want Better Results In The Share Market? The Super Investor provides stock market recommendations that are suitable for Self Managed Super Funds and other investors who want a responsible approach to investing in the Australian share market. All share market investors need to hear this! The 4 Steps To Success! Register now for FREE to get our special reports and learn invaluable information on how much to invest in each company, how many companies to hold in total, whether to favour large or small companies, and also how to get the timing of your stock market investments right. • Big or small, which is best? 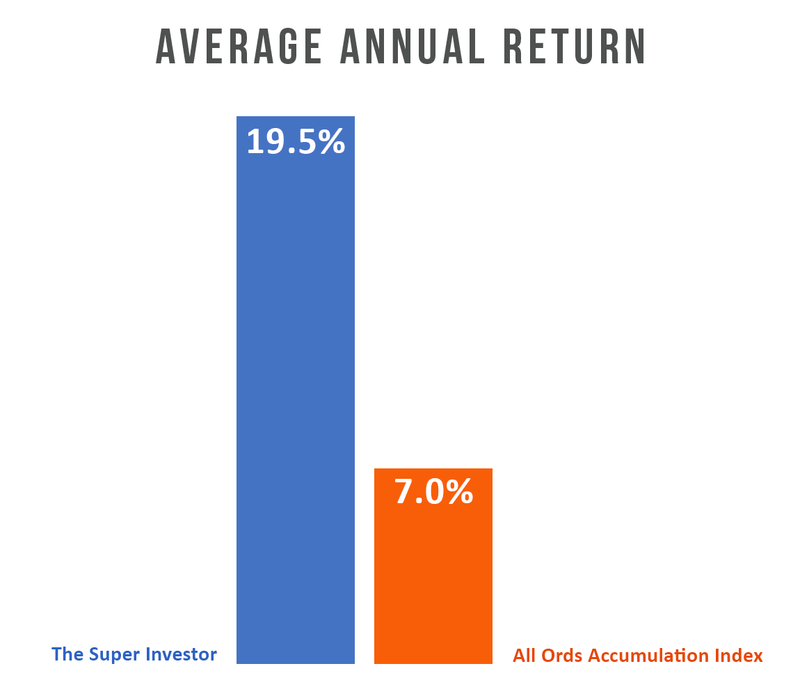 Aug 20, 2018 … Is value investing a wise approach for self-managed super funds or is it dangerous? Aug 18, 2018 … Why are the results of value investors poor? After all, value investing makes sense? The Super Investor offers 2 exclusive memberships for Australian share market investors. The Top 10 Membership provides a list of 10 recommendations while our Premium Membership provides broader coverage on value and growth, trends and targets for both small and large companies and also the index. The Top 10 Membership provides recommendations for investors who want a responsible and low risk approach to investing in shares. The recommendations include large and stable companies only. We advise when to buy, how much to buy, and when to sell. The Top 10 is for investors who want a superior approach that is easy to follow. Premium Membership provides weekly updates and a tactical approach to investing. Premium highlights opportunities in both large and small companies and includes coverage relating to valuations, trends and targets. The focus is on the major indices, the strongest trends, the fastest growing companies and the market leaders. Premium is for investors who like to follow the market on a weekly basis. "I am very happy with the advice you are supplying. Many thanks." "Thanks for your service. The overall results were excellent." "My profits are incredible. I love everything about The Super Investor and cannot recommend Paul and his services more highly." "My accountant has now joined The Super Investor!!! Keep up the good work." "Hi Paul, Thanks. Really appreciate what you offer." "All in all a brilliant year. Thank you. Following your recommendations meant I achieved a far superior result to what I would have achieved had I tried to guess my own way through the market." "WOW. Your service is well worth the money." "Hi Paul, I would like to thank you for all your excellent information over many years [14 in fact]. Last year, like others, was fantastic. I have had another very successful year." Ready to Elevate Yourself into the TOP 1% of Investors? For a limited time join The Top 10 for $50 and get Premium FREE [normally $97]. $50 won’t change your life but The Super Investor will.